This specimen is 26 mm. 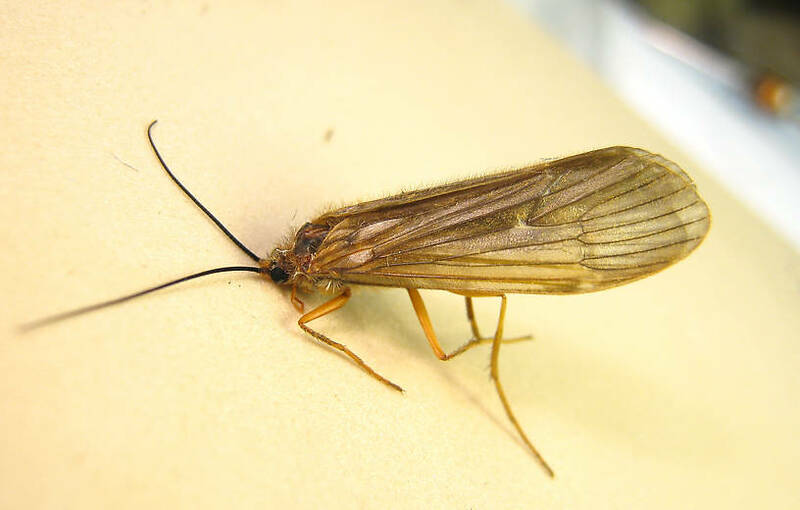 This caddisfly was collected from the St. Joe River on September 27th, 2013 and added to Troutnut.com on September 29th, 2013. These two species are very difficult to tell apart. 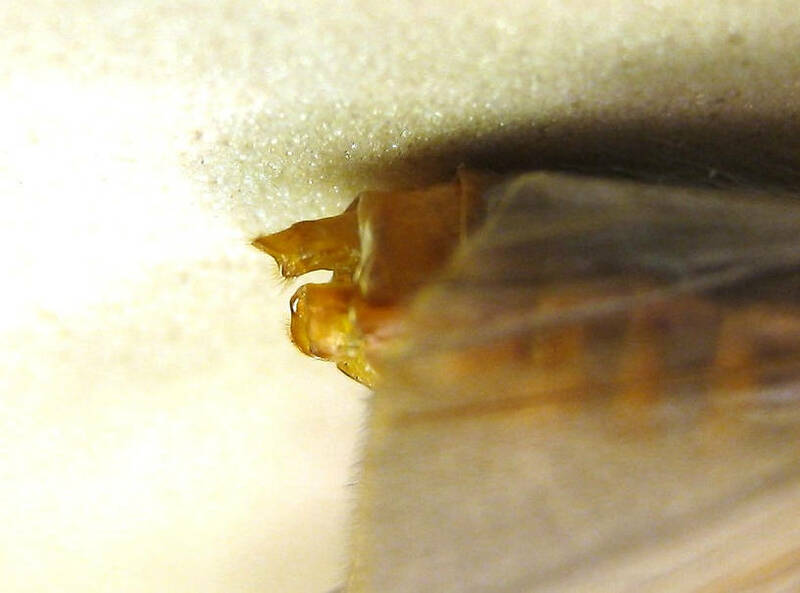 Because of the fuscated wing veining and black antennae, I'm leaning towards gilvipes, but it is my understanding that these characters are not very dependable. 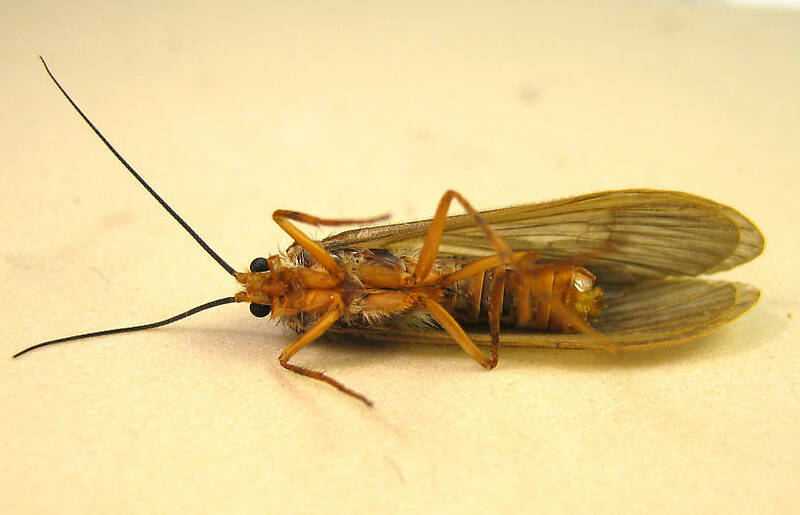 Regardless, both are the October caddis of western lore and can provide awesome dry fly fishing if the angler is lucky enough to hit it right. 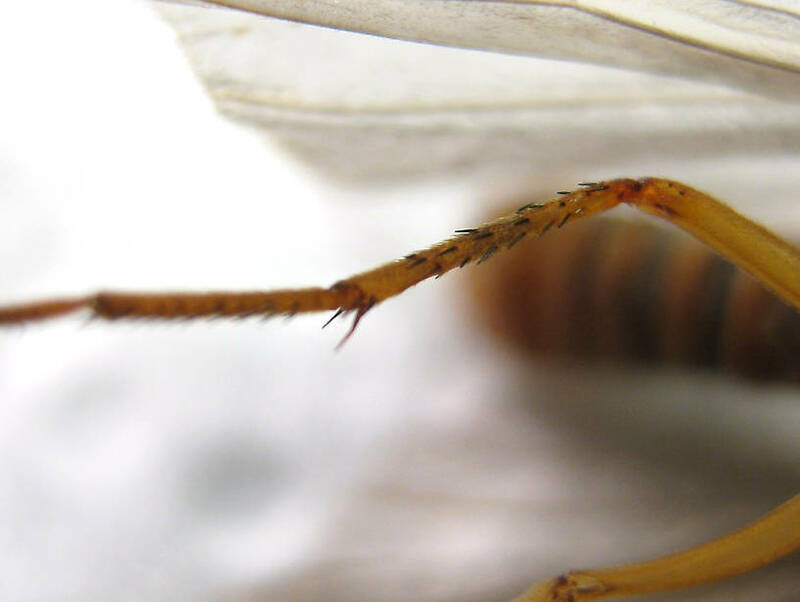 There is some debate over which flies work better, dries or nymphs. I come down on the side of dry flies. I have rarely found the pupa effective, and even when they are it's often a darker color than the conventional orange that works best. 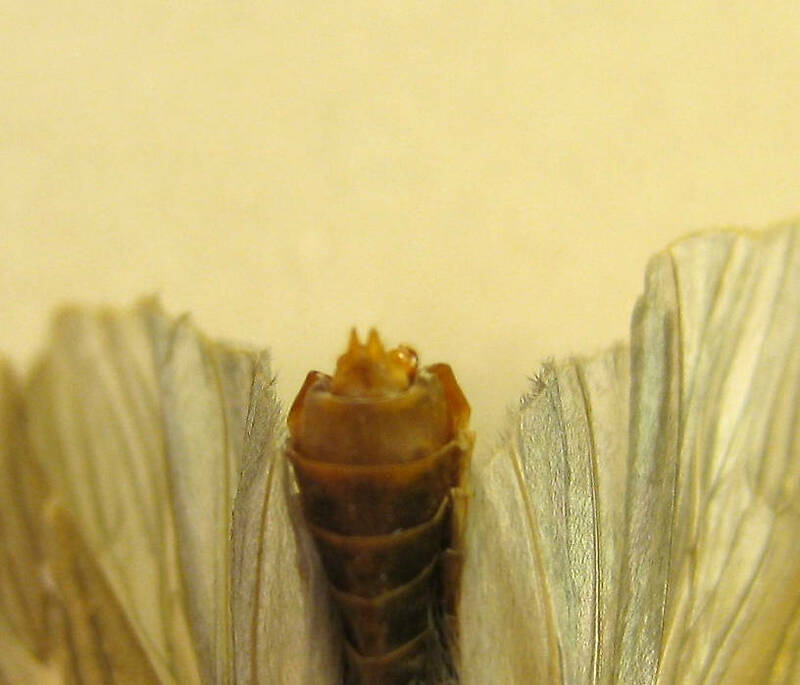 For years I struggled with this until learning that the pupa (more properly called pharates) usually crawl out on shore to ecclode in the darkness of night. Since they also start from their rock cabins in very shallow water to begin with - not much nymphing opportunity there... It is highly doubtful that trout have the opportunity to feed much on the pharates, let alone enough to become selective. 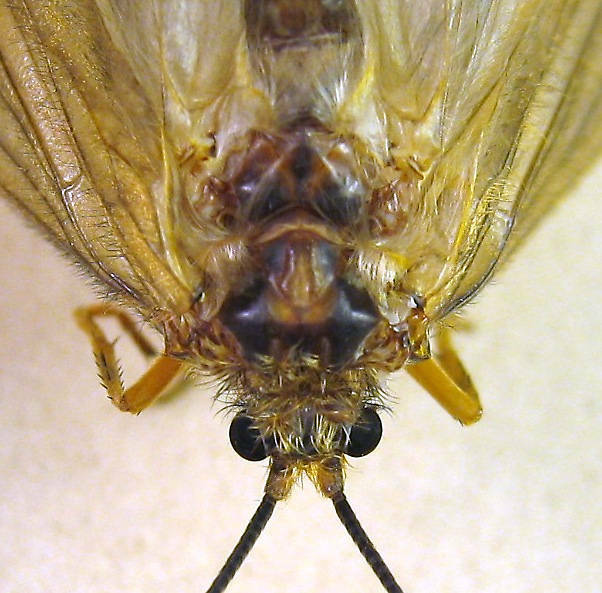 It is my opinion that when the pupal imitations work well, it is because they are either taken for drowned adults or perhaps it's just an attractor response to what looks like a big chunk of protein. Big fish often lose their caution this time of year as fishing pressure abates and storing calories for the Winter becomes a prerequisite.